Is there any literature discussing the idea that someone could simply not like learning Gemara or find it very difficult and painful to learn? I'm looking for sources that discuss how to respond to and feel about such a situation. בשביל משנתו שאינה סדורה עליו שנאמר "והוא לא פנים קלקל". מאי תקנתיה? ירבה בישיבה שנאמר "וחילים יגבר ויתרון הכשיר חכמה". Resh Lakish said: If you see a student to whom his studies are as hard as iron, (1) it is because his Mishna knowledge is not well ordered, as it is sai And one do not whet the edge. Let him attend the school even more regularly, as it is said, Then must he put to more strength; but wisdom is profitable to direct. [The latter words indicate] how much more profitable would his efforts be if he had originally systematized his studies. Thus for example, Resh Lakish made it his practice to repeat in systematic order his studies forty times corresponding to the forty days during which the Torah was given, and only then would he come before R`Johanan. Rabbi Adda Bar Abbahu made it his practice to repeat in systematic order his studies twenty-four times corresponding to the [twenty-four books which embody] the Torah, the Prophets and the Hagiographa, and only then would he come before Raba. Raba said: If you see a student who finds his studies as hard as iron, it is because his teacher does not encourage him, as it is said, 'and one do not whet the edge'. His learning is hard as iron, because of a multitude of kushiot, because he doesn't remember the Mishna (that is the premises of the problem). He cannot solve problems. Or he remembers wrong the Mishna, if it states chyuv or ptur and see contradiction where there isn't. To answer properly, it would be helpful to understand how advanced you feel you are at gemara learning, how long you have been learning and what are specific difficulties you encounter. But in all cases it is clear that learning gemara is incredibly difficult, particularly so at the beginning. The language, structure, reliance on previous knowledge, multiple layers of meaning all make it highly complex and so different from much of traditional Western learning. 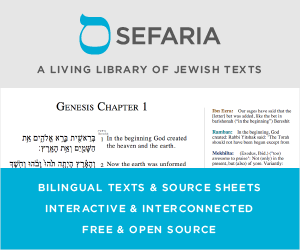 Beyond finding a very good rav to help you through your specific issues, I can recommend two+one books which I found incredibly helpful to answer basic questions about why gemara used this specific structure and seemed so complicated at the beginning, as well as to build up my learning skills. The first two particularly address issues beginners face when trying to crack a page of gemara and how to overcome them. It is important to remember that it is not necessary to be a Talmud scholar to be a good Jew. There were many people over the generations that had little formal learning, but were honest, charitable Jews that followed the law as they understood it. Some people did not have the opportunity to study. Some people have learning disabilities that make it difficult. Some people do not have "sitzfleisch" (today we call it ADD). He has told you, O man, what is good and what the LORD requires of you: only to do justice, to love goodness, and to walk modestly with your G-d. Even Shleima 7.6 mentions three reasons one is idle from the Torah. The first two are, in short, that one values other desires as good over Torah, and that he is drawn after various nonsensical activities. The third is because a person will attempt to achieve success in Torah without difficulties and hard work, and when he sees that, he abandons it. However, if one wants to work hard in Torah, then he will feel its sweetness; and through this he will achieve Torah. Not the answer you're looking for? Browse other questions tagged sources-mekorot talmud-gemara torah-study how-to .